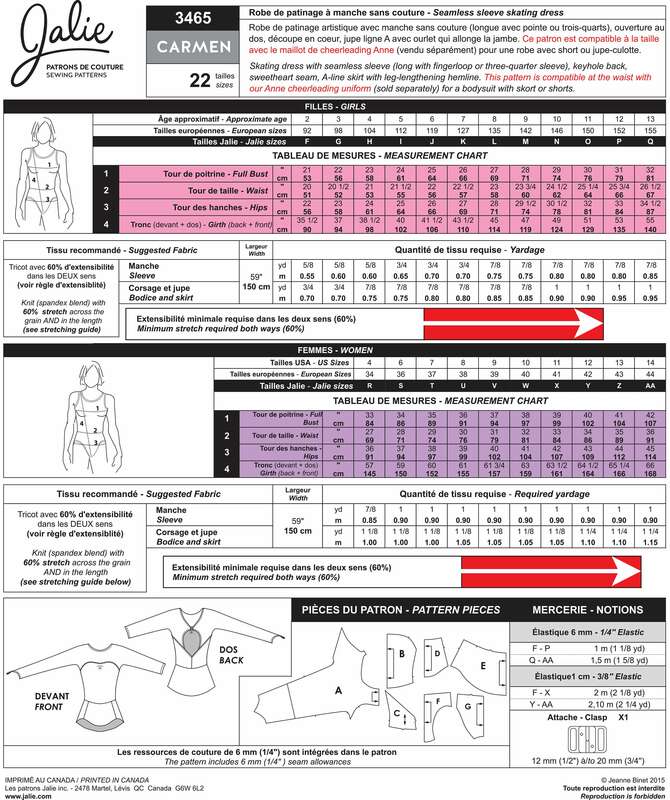 Package includes patterns and instructions to make Jalie's CARMEN Skating Dress. Skating dress with seamless sleeve (long with fingerloop or three-quarter sleeve), keyhole back, sweatheart seam, A-line skirt with leg-lengthening hemline. This pattern is compatable at the waist with Jalies ANN Cheerleading Uniform (#3466) for a bodysuit with skort or shorts. Great for Competition Dance too!